Sign up for an Info Session and learn more about our RN Program. 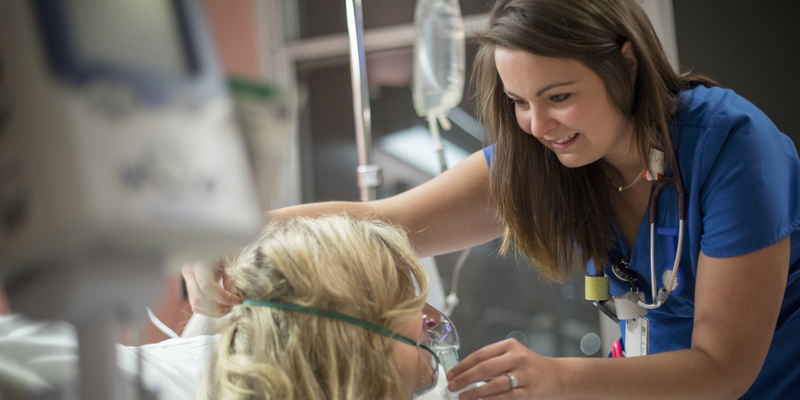 A nursing degree can open up new doors for you — one that includes career satisfaction, in-demand career options, and the ability to make a difference in the lives of others. Do something for yourself today and join us at an upcoming RN Information Session. There’s no commitment and no strings attached. Just share an hour of your day with us. We promise it will be worth it. We will walk you through everything you need to know about our Nursing and Pre-Nursing programs — the application process, program requirements, class scheduling options, degree-completion time, financing your education, and more. It all starts with an RN Information session… just ask our graduates! All sessions are held at Goodwin College's River Campus, located at One Riverside Drive in East Hartford. Prospective students are encouraged to contact the Admissions Office directly at 800.889.3282 with any questions. Tuesday, April 23rd @ 6 p.m.
Friday, April 26th @ 9 a.m.
Tuesday, April 30th @ 6 p.m.
Friday, May 3rd @ 9 a.m.
Saturday, May 4th @ 9 a.m. Date of Session Tuesday, April 23rd @ 6 p.m.Friday, April 26th @ 9 a.m.Tuesday, April 30th @ 6 p.m.Friday, May 3rd @ 9 a.m.Saturday, May 4th @ 9 a.m.